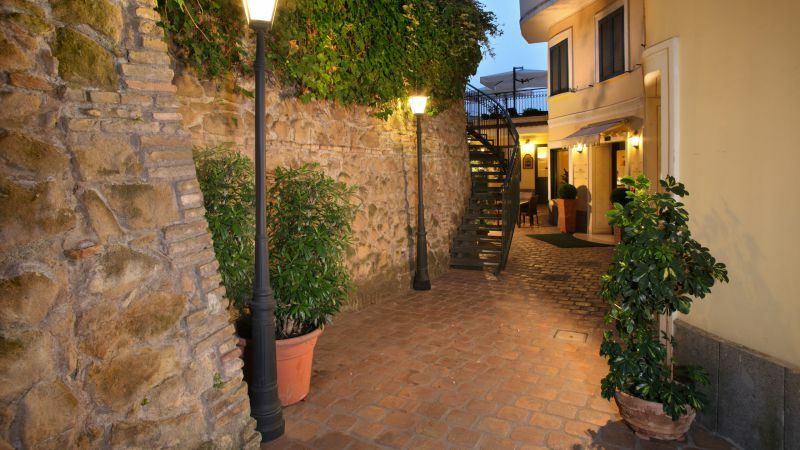 The Alessandrino Hotel in Rome is centrally located next to Vatican and St. Peter Basilica and two steps away from Rome city center but at the same time is on a quiet side street protected from the city buzz in a panoramic position. 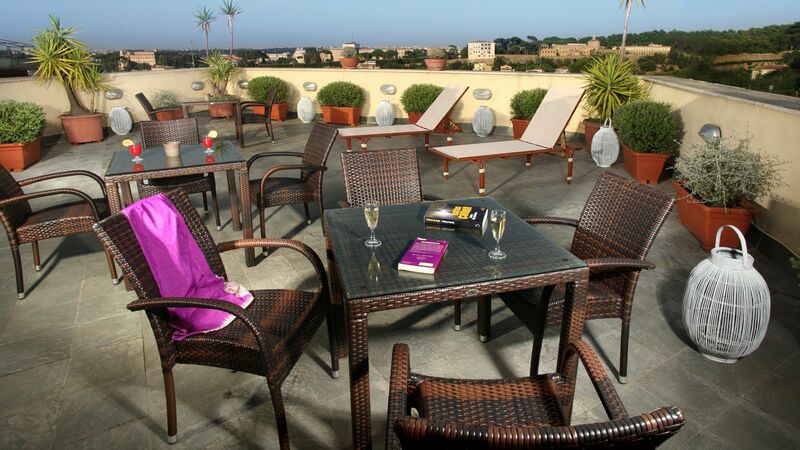 The Hotel is the perfect place to enjoy the city from major sights, as Vatican city, St. Peter's Basilica, Vatican Museums, Castel St. Angelo, Piazza Navona, Pantheon, Campo De Fiori and the Spanish Steps. 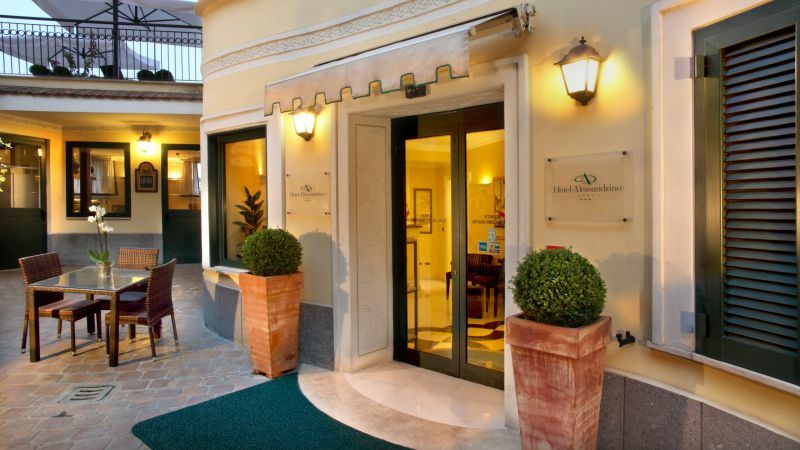 With its strategic location, Hotel Alessandrino accommodation in Rome doesn't get any better. By train: The train station is located inside the airport. There is a FS Metro shuttle train (follow directions for the train station FS sign from internal of Arrival) , with departures every 15 minutes (Line from Fiumicino to Fara Sabina or Orte) The journey takes approximately 15 mins to arrive to Roma Trastevere Station where you have to get off and bring the FS Metro train with direction Cesano/Viterbo or Civitavecchia/Grosseto for only one stop and get off on San Pietro Station (3 mins from Trastevere Station). Exit form the train station and take the left Via Clivo di Monte del Gallo for 150 Mt and then the take on the right Via Monte del Gallo for 300 Mt where you ll'find on the left Via Clemente Alessandrino and the entrance of the Hotel. By car: Exit airport following directions Rome. On the Fiumicino-Rome take the exit for G.R.A. Roma Aurelia, and then take the exit Aurelia-Roma Centro. Go straight forward for about 5 Km until Piazza Irnerio, from where you must turn on the right on Circonvalazione Aurelia and go straight forward about for 2 Km until you arrive to Via Gregorio VII° from where going always straight forward you'll encounter on the right Via Monte Del Gallo, take it and after 300Mt you'll find on the left Via Clemente Alessandrino and the entrance of the Hotel. From the airport, take a blue COTRAL bus (011-39/06-57-03) to Roma-Anagnina, then metro line A to the city center until to arrive to Valle Aurelia where you have to get off and bring the FS Metro train with direction Roma Trastevere, for only one stop and get off on San Pietro Station (3 mins from Valle Aurelia Station). Exit form the train station and take the left Via Clivo di Monte del Gallo for 150 Mt and then the take on the right Via Monte del Gallo for 300 Mt where you ll'find on the left Via Clemente Alessandrino and the entrance of the Hotel. By Metro: Take the metro line A to the city center until to arrive to Valle Aurelia where you have to get off and bring the FS Metro train with direction Roma Trastevere, for only one stop and get off on San Pietro Station ( 3 mins from Valle Aurelia Station ). Exit form the train station and take the left Via Clivo di Monte del Gallo for 150 Mt and then the take on the right Via Monte del Gallo for 300 Mt where you ll'find on the left Via Clemente Alessandrino and the entrance of the Hotel. By Bus: From Termini go to stop TERMINI (MA-MB-FS), take Line No 64 (P.ZA STAZIONE S. PIETRO (FM)) to 16 stops and get off at stop CROCIFISSO/PORTA FABBRICA and from where take Via Monte del Gallo and Walk about 700 metres to Via Clemente Alessandrino.